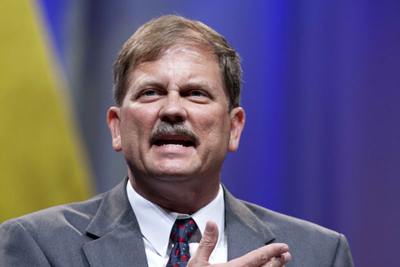 In a race that some had considered to be wide open, Amarillo businessman Tom Mechler on Saturday was chosen by the State Republican Executive Committee to be the new Chairman of the Texas GOP. 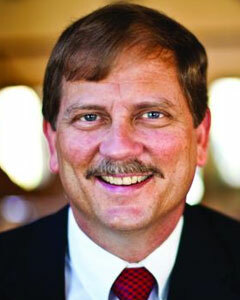 Mechler has been the treasurer of the largest state Republican Party in America for the last several years. After two rounds of voting by the SREC’s members, Mechler soundly defeated Dallas County GOP Chairman Wade Emmert, former Harris County Republican Party Chairman Jared Woodfill, and Republican National Committeeman Robin Armstrong. Mechler replaces former Chairman Steve Munisteri, who has taken a job as an adviser to the campaign of Sen. Rand Paul while the Kentucky lawmaker eyes a potential run for the White House. Munisteri is credited with calming the waters in the party and retiring its debt following the leadership of former Chairs Tina Benkiser and Cathie Adams. Over the course of the last few months, Mechler went from sort of a dark horse candidate to being the man to beat. He’ll be chairman through at least next May, when when the party’s delegates will meet to choose a permanent replacement for Munisteri. Just as his predecessor had done during his time in office, Mechler has stressed the need for the Texas GOP to engage in aggressive outreach to minorities. In his first speech as chairman, he noted Texas’ status as a majority-minority state and told SREC members that outreach to those populations will be critical moving forward if the state is to remain under Republican control. Mechler is a consultant to oil and gas producers, has been a member of the Texas Board of Criminal Justice, and was a GOP chair of two West Texas counties. He was also the chairman of the Platform Committee at the last Republican Party of Texas convention, where he unsuccessfully championed the Texas Solution for immigration, including a guest worker program.